The anchor has existed since 2500 BC, making it one of the oldest tattooed symbols in history. Originally, anchors were an underground symbol of Christian faith, which civilians kept secret because of the risk of persecution. The anchor’s shape was likened to the cross, and it also represented Jesus’ connection to the sea. But the anchor stands as a symbol in other human realms too, like the Navy. Below, we’ve put together an anchor tattoo dictionary, explaining the meanings behind each one of these anchor tattoo designs. Navy Anchors: these tattoo designs are especially common amongst those who served in the U.S. navy. Navy anchors are a symbol of patriotism and devotion. Anchor and Rope: eventually adopted by the U.S. Navy, the anchor and rope tattoo design was originally depicted in Lord Howard of Effingham’s family seal. In a battle against the Spanish Armada, Lord Howard led the British Navy to success, and hence this symbol became an important symbol throughout the Navy. Generally, an anchor wrapped in a rope is a symbol for a ‘fouled anchor,’ or an anchor with an insecure hold. Eagle, Globe, and Anchor: these three tattoo designs together made up the official insignia for the U.S. Marine Corps. The eagle, the U.S. national bird, represents U.S. patriotism, whereas the globe represents the Navy’s desire to serve the entire world. Sometimes this tattoo design appears paired with a ribbon hanging from the Eagle’s beak, labelled ‘Semper Fidelis,’ which translates to ‘Always Faithful.’ For more information on tattoo designs like these, check out our American Tattoo Meanings blog. Rose and Anchor: a rose paired with an anchor is a symbol of love, loyalty, and sacrifice. The red rose represents love and passion, and drawn together with the anchor, it celebrates sacrifice in the line of duty. Anchor and Heart: a heart tattoo design stands for love, joy, and compassion. When it’s paired with an anchor, it symbolizes the stability and security that love brings to your life. Celtic Anchor: the Celtic peoples spent a lot of time at sea, voyaging from place to place. A Celtic anchor represents our connection to the sea, and honours those with Celtic heritage and history. Tribal Anchor: the bold, abstractly designed tribal anchor tattoo design symbolizes nature, family, and culture. 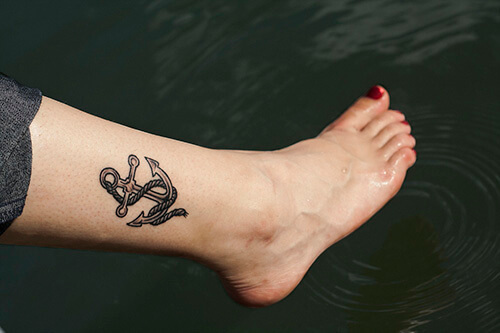 There are more anchor tattoo designs for your reading pleasure, here. Though anchors are most commonly associated with those who work at sea, their symbolism is far-reaching. Aside from the anchor’s significance as a naval tool, it represents values that are important to everyone, like love, sacrifice, and stability. 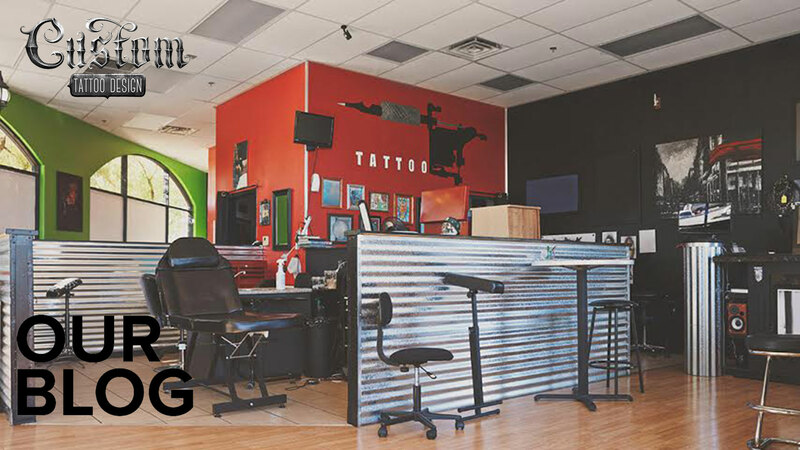 If you know of any other interesting anchor tattoo designs, let us know about them in the comment section below!